Click here now to download the first 3 chapters for free! In a world without justice. In a desperate race across Ireland. My name is R J Madigan, my first novel The Sword of Air follows the story of Niamh Kelly, a girl who is unaware she is half Fae and half human. Set against the achingly beautiful backdrop of Irish mythology this novel promises readers a journey through light and shadow that will grip like a vice. I started my blog as a resource for aspiring writers, covering different aspects of punk publishing, life as an author and literary hot topics. Experience the most amazing book you’ve ever read. This book takes advantage of everything you can do on your iPad or Mac. It has Multi‑Touch, audio, video and more. With this Multi‑Touch book, you’re no longer limited to flat images on paper. Flick or swipe through HD photo galleries. Use a finger to rotate 3D objects. Watch videos spring to life. Or listen to audio that brings the story alive. 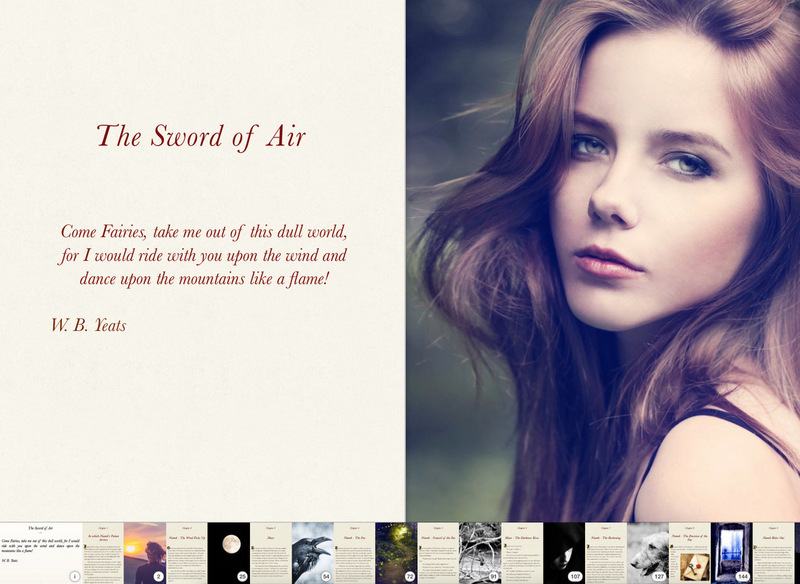 You can find the Sword of Air by R.J.Madigan — in the iBooks Store. The Sword of Air is like nothing you’ve ever experienced. And it’s something you won’t want to put down. Available now on iBooks. Click here to download the first 3 chapters free! Ooooh sounds fabulous! Thats the great thing about our digital age and the new wave of e-publishing, a book can be so much more than words in a page or screen. Congrats on innovating the reading experience! Thanks Ali. You are so right and I think young people who are growing up exposed to so much more visual media than we ever were demand more from a book now. Take care and stay in touch. I am still really enjoying reading your blog. Congratulations on your new collaboration with Jane. Love stories from Irish myth sounds right up my street. I’ve been thinking about what you said about featuring on your Friday fiction and I think it is something I would like to do. The Sword of Air also has its roots in Irish Mythology so I feel it is something that would probably appeal to the readers of your blog. If you would still like to feature The Sword of Air on your Friday fiction please send me details of what I need to do. It would probably need a bit of an intro on the whole multi-touch iBook thing too. Absolutely stunning trailer – definitely got my interest! A unique way to go about publishing and I can’t wait to learn more about your process and how it’s going for you! Thanks for the follow Krista. I’m new to self publishing so it is great to make friends with bloggers and writers trying to do the same thing. Your work looks really intriguing too. It will be lovely to stay in touch. Take care. Rae. 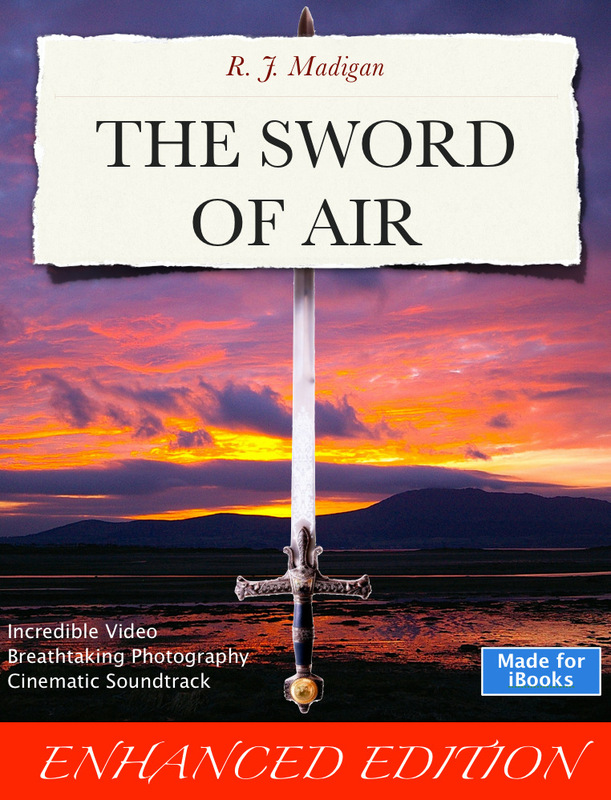 Hi Krista, I was wondering as you liked the book trailer for The Sword of Air so much if you would be interested in reviewing The Sword of Air on your blog. You do need access to an iPad or Mac as the multi-touch technology is so new it doesn’t work on kindle, PC or other platforms. It might be an interesting topic for your blog as multi-touch iBooks are still so new. Let me know if you are interested and I’ll send you a free promo code. If you want to know a bit more about the book first you could always check out the fantastic vlog review ‘the bookish blonde’ has just done for The Sword of Air on http://www.swordofair.net. Take care. Rae. Alas I’m not a MAC user, otherwise I would LOVE to! It sounds like such a fascinating concept! However, is there’s another way I can help you out (a Q&A on my blog, maybe?) we can look into that! Thanks for getting back to me so soon. I would love to do a Q&A on your blog. Sounds like great fun. Also I would be happy to return the favour if you would like to do the same on my blog or guest blog your own piece instead. Send me the details for the Q and A and we can go from there. I look forward to hearing from you. Take care. Rae. Hi, can your book be watched/read on iPhone too? I was just lately thinking how good it would be to make a book with soundtracks… when the music the author chooses is played during reading. Of course that raises copyright questions as well, but still it’d be so good! Sounds amazing but I don’t have an Apple computer or i-Pad. I’ll let some friends who have them know.